Being a most reliable organization, we are engaged in offering a wide range of Glassine Paper. 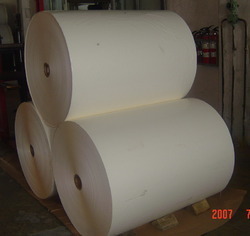 Our firm is offering an extensive series of Glassine Paper Roll. We offer this product at nominal costs..
As, our organization has stringent quality management strategies, our complete range of products is preferred by many across the industry. Our packages are designed to provide maximum protection to the product from mechanical damage and logistical jostling. Additionally, the package is labeled to provide important details. Keeping in sync with the latest market development, we are engaged in providing a high quality range of Glassine Poly Paper. 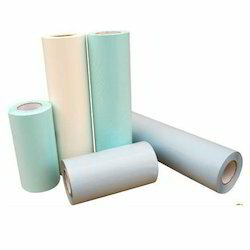 Being one of the trusted firms in the industry, we are highly engaged in providing a unique range of Glassine Paper Roll. - In sheet: 762*1016mm(30'*40'), 750*1000mm, 787*1092mm, etc. - Color: Natural white, bleached white, peachblow, yellow, pink, red, light blue, coffee, apple green, black, dark green. We are the prominent manufacturer and suppliers of wide range of Glassine Paper that are used for insulation of several kind of electrical wires. These are made available by us in different sizes as per the specific wire specifications. Further, these Insulation Crepe Paper / Tubes are manufactured by us as per International quality standards.